This past Friday, I was so pleased to receive my long-awaited copy of Christ-Centered Biblical Counseling—the combined work of 40 friends from the Biblical Counseling Coalition. 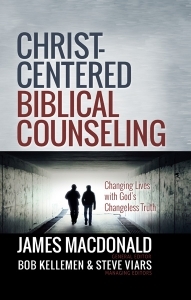 Christ-Centered Biblical Counseling is sure to become a standard text for those interested in understanding the theology and practice of biblical counseling. In this book, Powlison says, we will hear the following core commitments, which we continually promote and affirm on th is blog. Reality is God-centered and all human beings are worshippers, whether or not they are conscious of this reality and its implications. God our Father, Christ our Savior, and the Holy Spirit our Life-giver is purposefully on-scene and actively working in people’s lives. Scripture is comprehensively relevant to the things that concern, preoccupy, and trouble humankind. Counseling is an integral aspect of ministry and of church life. — Learn more about the 40 authors, and how to get your copy of Christ-Centered Biblical Counseling, here.